An electric Segway? What is it ? How to choose your Segway properly? What is the average price of a Segway? What is the difference between a hoverboard and a Segway? The Segway, is a way to travel in an ecological way and is particularly appreciated by tourist offices. It is a relatively new product that continues to grow. Thus, there are several models available on the market nowadays introduced by various brands. Making a choice is not that easy. You will find below a little buying guide that should help you. The Ninebot MiniPro 320 Segway is the biggest crush of the day. 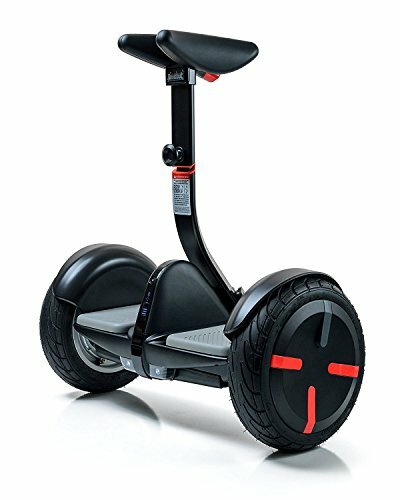 Sold for 650£ on the web, this is the cheapest model from the Segway brand. It is a so-called “mini”, which weighs less than thirteen kilos, and is therefore very easy to carry or store. Just let it charge for four hours and you will be able to enjoy a ride between 30 to 40 kilometers. Very easy! Regarding the speed, it can go up to 18 km/h, it is controllable through an IOS and Android-compatible application. Note, however, that most equipment is automatic, including headlights and turn signals. This is one of the best models that is currently on the market. It will undoubtedly meet all your expectations if you choose it. Discover with I-Walk ProRobot + a whole new way to stroll around. You can control the device with your knees and will allow you to ride on the streets with a maximum speed of 22 km/h. The autonomy of 30km will allow you to travel long distances without worrying about falling out of battery. 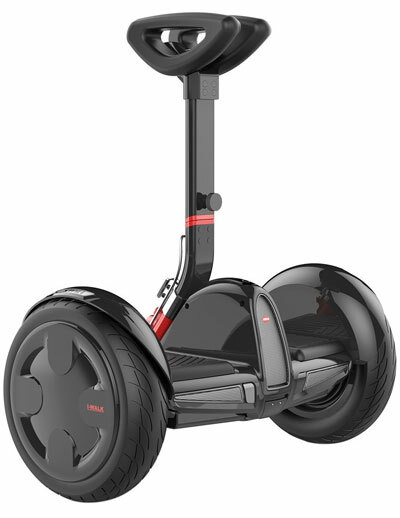 For your safety, this Segway is equipped with head and rear LED signals, an antitheft system and a kickstand that will allow you to leave it standing upright without fear of damaging it. The ProRobot + comes with an electric motor in each wheel for a total power of 700 W and a Lithium-ion battery of 6.4 A / h.
The product include free I – Walk mobile app compatible with iOS and Android. It provides Bluetooth access to the technical information of your machine and allow you to program your personal setting. ✓ 54V lithium battery with 6.4 Ah or 352 Wh | Weight of 13,5 Kg | 10 inch tubeless wheels. 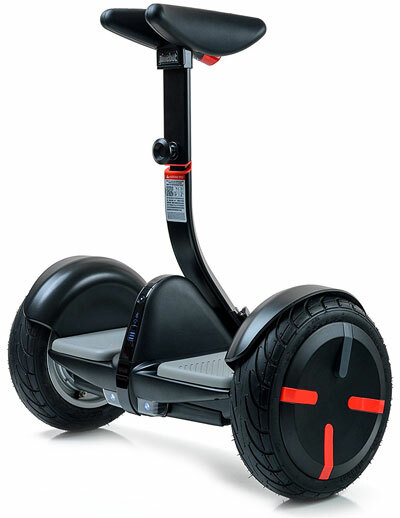 The Segway is a non-motorized vehicle that can be used on sidewalks. It has a platform that allows the user to settle comfortably and two wheels wide enough. There is also a handle to ensure good stability to the user. Generally, the Segway, can run at 15 km/h, or even 20 km/h depending on the model. As mentioned before, there are many models of Segway on the market. So, making a choice is not very easy, but fortunately, these tips should help you. Firstly, you should know that all devices are intended to be used on smooth surfaces. But if you want to choose a all terrain model, it’s possible. Everything will depend on the size of the Segway wheels, because the larger the diameter, the more stable it will be. Then, the second point on which it is absolutely important to inquire, is the battery. Actually, it is better to choose for a lithium battery that ensures a lightness and unequaled resistance. You will also need to check the time you need to charge and the battery life. The maximum speed that can be reached is also an essential criterion. You should know that, to be able to roll on the pavements, you must not exceed the limit of 6 km/h. But if you want to drive faster, you can choose for a Segway that goes up to 20 km/h. With this type of model, you will have to ride on cycle track. Finally, the last point to take into account is the maximum weight not to be exceeded. Generally, it turns around 100 kg, but it is better to check beforehand. Buying a Segway is a fairly personal choice, since everything depends on the necessity of the product. Indeed, if you walk a lot of miles on foot, it is a vehicle that can really suit you. Not only will it allow you to move in an environment friendly way, but you will also save a lot of time. Why get tired when you can buy a Segway? The price of a Segway may vary depending on the models and their characteristics. Generally, to have a correct model, it is necessary to count more than 500 £. This type of equipment represents a large budget but less than an electric unicycle, which is less secure and more complicated to handle. Note that the price can go up to 2500 £ if you choose a very high-end model. If you want to choose for a low-end model, which will be a little less comfortable and powerful, it will take approximately around 500 £. It all depends on your budget and the use you have of it. If you want to use it every day, we advise you to go for a quality device. When we go out on the street, we tend to cross hoverboards, but not much Segway. Why ? What is the difference between the two devices? Note that both devices have a relatively similar base. The platform of the hoverboard is divided into two parts, one for each foot. Two wheels are fixed on it and you just need to climb on it to ride. This device is mostly popular among children. The Segway is more discreet in town. The reason ? His price. Indeed, if you go to an office, you may see a lot more. The difference with the hoverboard is the handle, which allows a better stability to the user. The difference between the two products is therefore related only to the price. 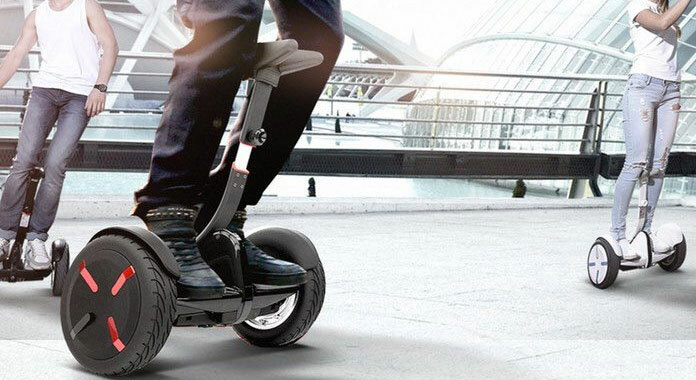 Like all products on the market, the Segway has strengths, but also weak points. Before purchasing the device, it is therefore strongly advised to know these, not to be disappointed. It is an eco-friendly product that uses only electricity to charge, and the position is very comfortable when you are on the device. The only negative point we could remember is the price since it takes at least 600 £ to have a good product. It is indeed relatively expensive but you can notice a rapid return on investment if you use it every day. You will understand, if you want to start buying a Segway, do not be afraid to spend your money. It should be known that low-end models are very often fragile and too sensitive. It is better to spend a little more money to have a good-quality product which will have a longer durability. We hope in any case, that this little shopping guide has allowed you to make your choice, and you can fully enjoy your Segway!